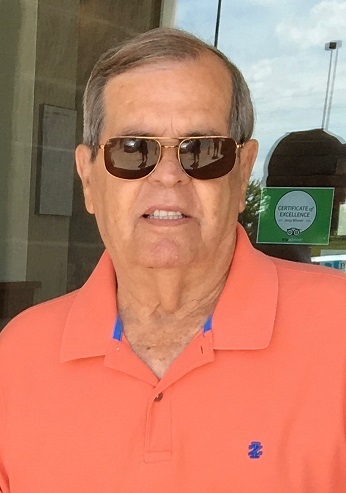 Paul V. Nuckolls, 78, passed away on Tuesday, April 24, 2018 in Belton, MO. Paul was born on June 24, 1939 in Elmo, MO to William and Pauline Nuckolls. He lived in Kansas City, MO most of his life and worked for Santa Fe Railroad (BNSF) for 30 years. He is preceded in death by his parents William and Pauline (Garten) Nuckolls. Paul leaves behind three children: Kathleen (Terry) Jackson, Harrisonville, MO, Susan (Shawn) Rider, Overland Park, KS and Jon (Christie) Nuckolls, Greenville, NC; six grandchildren, Courtney (Brandon), Molly, Katherine, Jack, Luke and William; and two great-grandchildren, Beau and Blair. He also leaves behind his siblings: Onda Sawvell, Blue Springs, MO, Diana Hutchens, Blue Springs, MO, Susan Manley, Kansas City, MO, William Nuckolls, Pleasant Hill, MO, Wendell Nuckolls, Raymore, MO, Jim Nuckolls, Raytown, MO, Dale Nuckolls, Kansas City, MO, and Vickie Wisner, Grain Valley, MO; and dozens of nieces and nephews. Visitation will be Saturday, April 28, 2018 from 1-3pm at Park Lawn Funeral Home, 8251 Hillcrest Rd., Kansas City, MO. So sorry for your loss. My dad had the best friendship with your dad and really loved him like a little brother. My brother Billy, sisters Kay, Kelly and myself all had the pleasure of knowing your dad too. I'm sure my dad was there was to greet him as he entered the Lords Kingdom. Puts a smile on my face. Prayers for the family that Paul was so proud of. He will always be remembered as a very special man.